The Professional in Human Resource exam is an assessment of a candidate’s broad knowledge in human resources. Candidates must meet specific work-experience or academic eligibility requirements before taking this exam, and will need to be able to provide documented proof of their background in the field. Candidates may apply online or by mail. After receiving the PHR certification, a candidate may use the acronym PHR after his or her name for professional purposes. The certification is voluntary; it is used for professional advancement, personal accomplishment and gaining public acknowledgment as an expert in the field. Some organizations or agencies may choose to require HR jobs certification. The PHR certification test is computer-based. It contains 225 multiple-choice items, and it must be finished within four hours. Of these questions, 200 are scored, and the remaining 25 are for pre-trial purposes and will be used on future exams. Candidates will not know which questions are scored and which are not. The overall score will be scaled and will range from 100-700. 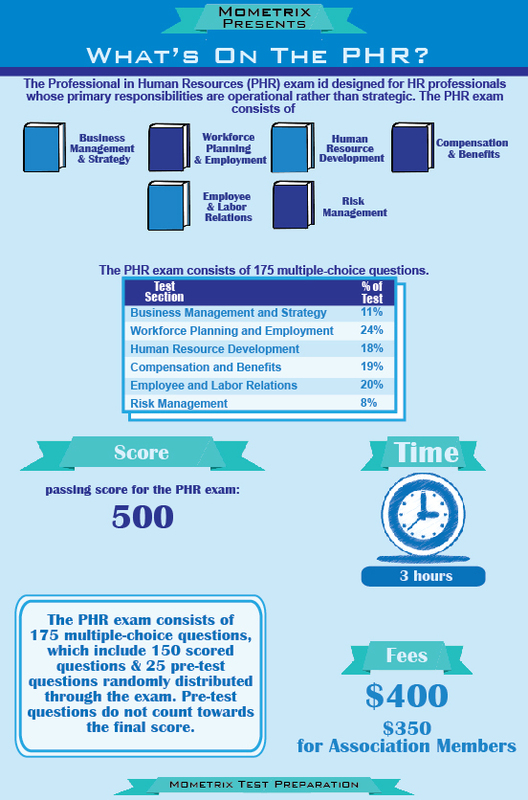 The minimum passing score is 500 on the PHR certification test. 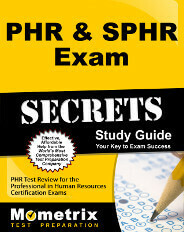 Ace the PHR test using our PHR exam study guide with practice questions. 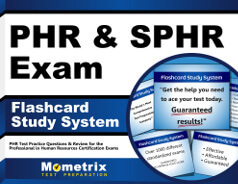 Quickly Solve Difficult PHR Test Questions with the PHR Flashcard Study System.